Miso Crafty Knits: Slowly ticking things off my to-do list! Slowly ticking things off my to-do list! Being the serial list maker that I am, nothing quite beats the feeling of being able to tick off an item on a to-do list. Over the week I got to tick off a few things on said list. Oooohhh, it felt soooo good!! 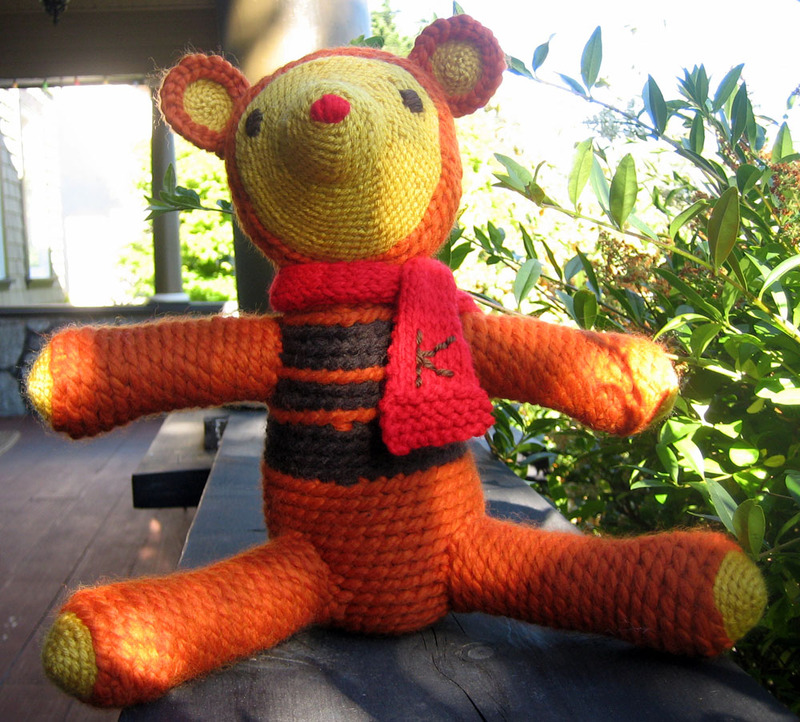 First up, Marmalade the Bedfellow Bear. I've concluded that if I didn't take a break from it, I would've gotten it done within a week or two. But I guess finishing it a month after starting it isn't so bad either. This time I decided to follow the pattern and crochet the amount of rows called for on the arms and legs. Well, let's just say I won't be doing that any more! To me the arms and legs are way too long and not proportionate to the rest of the body. Don't get me wrong, I still think it's as cute as ever. It's just that it's now quite limb-y. Also, stupid me for some weird reason decided to crochet the body last, like I mentioned a few posts ago. To solve my problem of running out of the main yarn, I added a few stripes of chocolate brown on the chest, rather than making it look like the bear was wearing a shirt. The stripes definitely give the bear some character. I am quite pleased with how it came out. 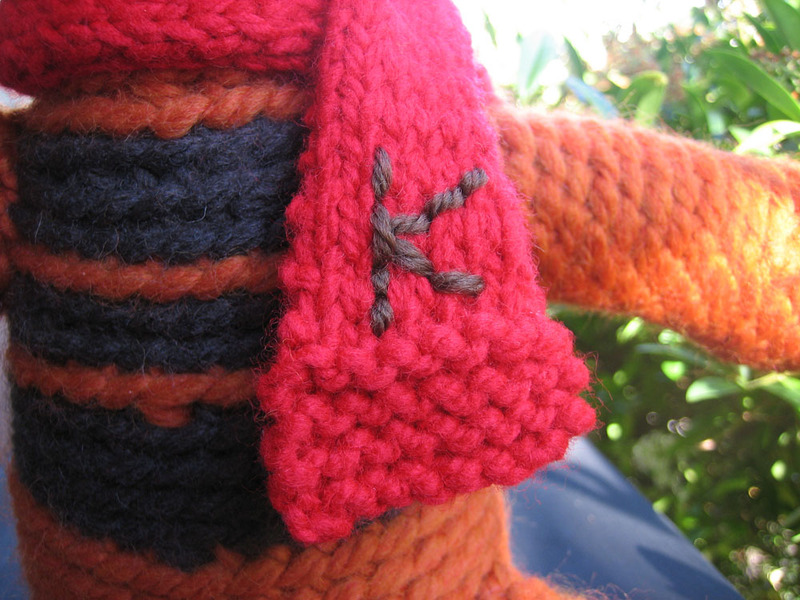 I also knitted up a scarf for it to wear, and had embroidered the initial "K" onto a scarf end. Since both Brett and I have last names that start with a "K", I thought it was a safe bet. Yes, I discovered the macro option on my camera and now know how to use it! YAY! !